What a place! 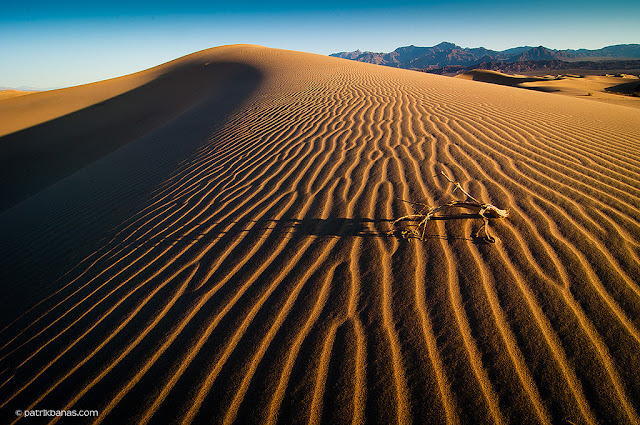 I think I can say I've traveled a lot, but what I have seen in Death Valley - that was breath-taking. Within a few square kilometers you can find mountains, sand dunes, deepest place on the north hemisphere, moving rocks... There is no mobile phone signal and GPS will usually gets you lost ;) And on the top of that - sleeping deprivation! Waking up at 4am to pick up my beloved camera left in the desert for star-trail shots and still shooting at 1.30am in the night (21 hours later) in the Ghost Town, in the middle of nowhere. After a while of processing, the best of Death Valley full gallery is here.